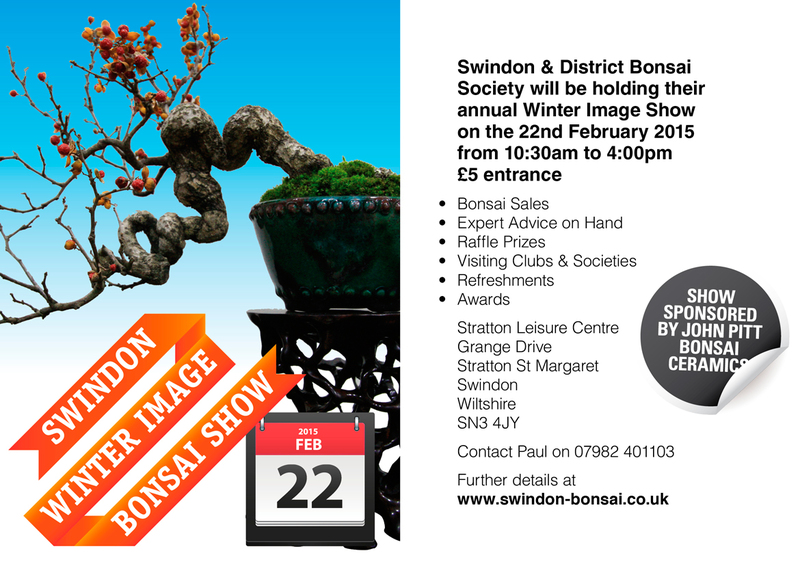 Swindon & District Bonsai Society will be holding their superb Winter Image Show on Sunday February 22nd 2015. This fabulous annual event is an absolute MUST on the bonsai calendar with superb quality trees on display. Although the BSB won’t be participating as a group this year, there will be the usual stunning displays from people like Mark and Ritta Cooper.